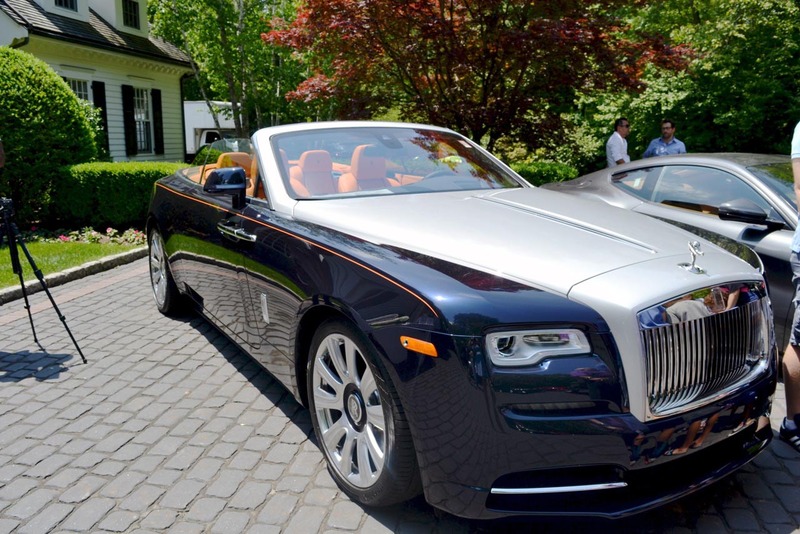 RAND Luxury hosted its ultra-exclusive private British Luxury Brunch in Greenwich, CT showcasing the latest models from Bentley, Rolls-Royce, Aston Martin and McLaren. The event that took place on Saturday, June 10th, 2017 also featured an exclusive luxury showcase of fine time pieces, jewelry, private aviation, electronics, fashion, and more. The private Greenwich estate, where the event was held was also showcased by one of The Stevens Kencel Group real estate agents Jim Hoffman who ýwas offering interested patrons private tours of the property throughout the day. This Greenwich estate is available for acquisition for $9.75 million. Notable attendees included: Bradford Rand, President / CEO RAND Luxury, Inc.; Trish Kirsch, Publisher of Greenwich Magazine; Jonathan Moffly, President of Moffly Media; Avril Graham, Executive Fashion & Beauty Editor of Harpers Bazaar; Megan Hutton, Marketing Director RAND Luxury; Tony Mazzulli, Executive Director, KW Commercial; Diana Ji, Founder & Managing Director, Smiles Delivered; Michael Comandini, Licensed Associate Real Estate Broker, Keller Williams; Meredith Benanti; Micah Curtis, National Sales Director, Home Loans Assist; Jourdan Sloane, Creative Director, The Limit Does Not Exist; Michelle Ressler, Creative Director, Cremedmichelle; Cassandra Dimico, Content Creator, Dress for Dreams; Natalia Kralia, Manager of FP&A; Penny Xing, Software Engineer, Amplify Education; Jessica Milter, Account Executive, CMM Agency; Ellery Lee, Blogger, Elle Is Always Here; Pauline Balmas, Shop PR, Account Executive; Rob Love, Founder / CEO, Launch Pad Worldwide; Owen C. Biglin, Vice President, Corp. FX Product Sales Bank of America Merrill Lynch; Katie Fong, Creative Director & CEO, Katie Fong LLC; and Jennifer D' Antoni, President, NYC Elite Boutique. The event’s official media partner was Greenich Magazine. 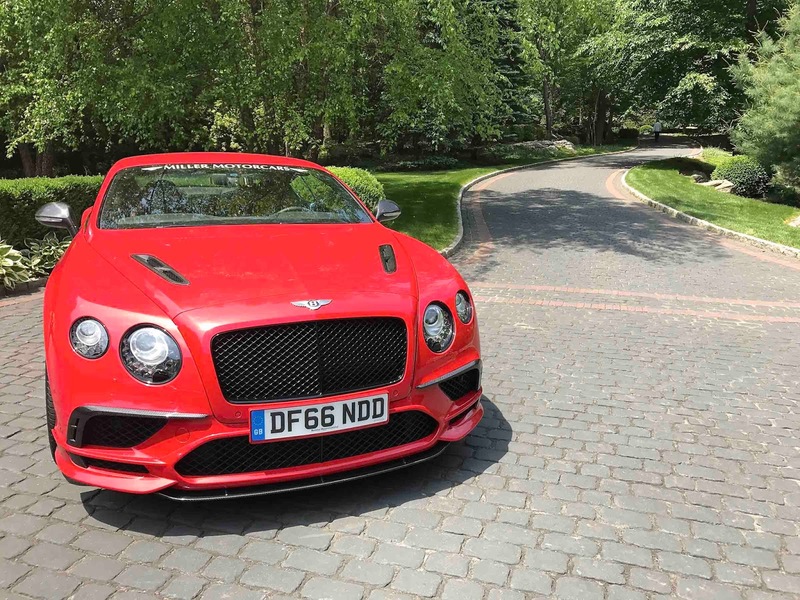 Guests had the opportunity to view the latest Bentley, Rolls-Royce, Aston Martin and McLaren models throughout the course of the event. There was also a luxury showcase featuring sponsoring brands: Acker Merrall & Condit, Alec Bradley Cigars, Artis Brush, Betteridge, Bucco Couture, Glenfiddich Scotch, Grandstand Sports and Memorabilia, Greenwich Hospital Foundation, Greenwich Magazine, Honda Aircraft Company, ImmotorIn, Villas Veritas, J Mendel, Jet Aviation Holdings, Macaron Bites, Miller Motorcars, New York Prime Beef, Parsons Xtreme Golf, Patron and Stone Farm. Invited guests enjoyed fine cuisine, champagne and spirits throughout the mid-day soiree. Acker Merrall & Condit, America's oldest wine shop and the world’s leading Wine Auction House was conducting vintage wine tastings. Alec Bradley was providing hand rolled fine cigars and Glenfiddich was conducting scotch tastings. During the event, guests were able to participate in a Silent Auction, that benefits Greenwich Hospital Foundation – “Under the Stars”. RAND Luxury is an international event-production company founded by entrepreneur Bradford Rand that caters to the world’s finest and most unique brands. Based in Manhattan, the RAND team has produced over 1,100 events since 1993. Events include “The Luxury Technology Show," in New York & Los Angeles, "The Luxury Lounge" during The Sundance Film Festival and the Toronto Film Festival which showcase brands during exclusive film receptions to producers, directors, celebrities, film investors, directors and VIP guests, “The Hamptons Brunch Series” takes place on $6 to $20+ million dollar estates featuring driving experiences from Rolls-Royce, Bentley, Maserati, Lamborghini & Aston Martin. RAND Luxury has also produced unveiling events for such brands as Rolls-Royce, SONY, Bugatti, Hasselblad, Giorgio Armani, Leica, Lexus, Aston Martin, LG Electronics, Bentley and more. Other notable shows and charity fundraisers the team has produced include The Luxury Review, Go Green Expo, The Red Cross Ball and City Harvest. The team also produces the Fashion Career Expo, a professional hiring event for the industry since 2003 that is sponsored by WWD / Women’s Wear Daily. Bradford Rand’s other conferences include The Cyber Security Summit & TECHEXPO Top Secret.